PLAN23D converts floor PLAN of buildings to complete 3-D structural models and generates input files for SAP, STAAD & GTSTRUDL and similar other general purpose structural analysis software packages. 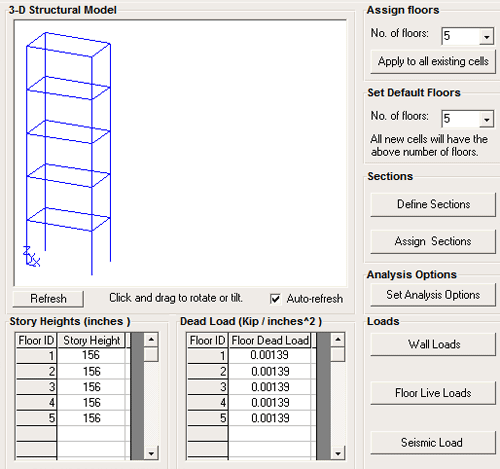 It has been developed to help structural engineers and architects in modeling of multi-story buildings with minimal use of manuals and help files. 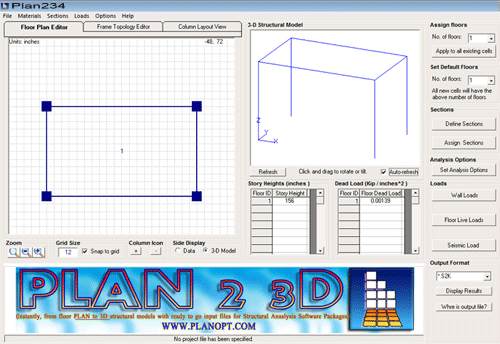 Fast, Easy and Error-free modeling are the objectives of PLAN23D. 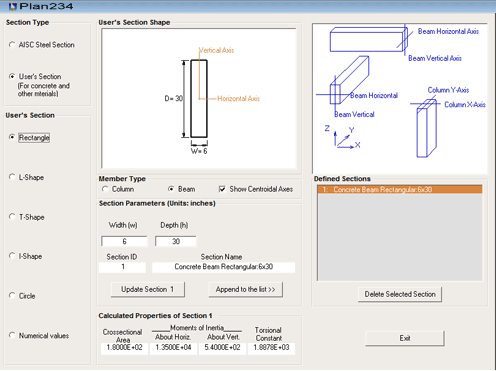 Geometry, topology, material properties, cross-sections, dead and live loads, wall loads, IBC-compliant response spectra, rigid diaphragm, etc are easily generated with a few clicks of the mouse pointer.